Exaptation (a replacement for the teleologically-loaded term "pre-adaptation") and the related term co-option describe a shift in the function of a trait during evolution. For example, a trait can evolve because it served one particular function, but subsequently it may come to serve another. Exaptations are common in both anatomy and behaviour. Bird feathers are a classic example: initially they may have evolved for temperature regulation, but later were adapted for flight. Interest in exaptation relates to both the process and products of evolution: the process that creates complex traits and the products (functions, anatomical structures, biochemicals, etc.) that may be imperfectly developed. The idea had been explored by several scholars[lower-alpha 1] when in 1982 Stephen Jay Gould and Elisabeth Vrba introduced the term "exaptation". However, this definition had two categories with different implications for the role of adaptation. To avoid these ambiguities, Buss, et al. (1998) suggested the term "co-opted adaptation", which is limited to traits that evolved after cooption. However, the commonly used terms of "exaptation" and "cooption" are ambiguous in this regard. Function may not always come before form: developed structures could change or alter the primary functions they were intended for due to some structural or historical cause. There are many examples of exaptations. A classic example is how feathers, which initially evolved for heat regulation, were co-opted for display, and later co-opted for use in bird flight. Another example is the lungs of many basal fish, which evolved into the lungs of terrestrial vertebrates but also underwent exaptation to become the gas bladder, a buoyancy control organ, in derived fish. A behavioural example pertains to subdominant wolves licking the mouths of alpha wolves as a sign of submissiveness. (Similarly, dogs, which are wolves who through a long process were domesticated, lick the faces of their human owners.) This trait can be explained as an exaptation of wolf pups licking the faces of adults to encourage them to regurgitate food. Metabolism can be considered an important part of exaptation. As one of the oldest biological systems and being central to life on the Earth, studies have shown that metabolism may be able to use exaptation in order to be fit given some new set of conditions or environment. Studies have shown that up to 44 carbon sources are viable for metabolism to successfully take place and that any one adaptation in these specific metabolic systems is due to multiple exaptations. Taking this perspective, exaptations are important in the origination of adaptations in general. A recent example comes from Richard Lenski's E. coli long-term evolution experiment, in which aerobic growth on citrate arose in one of twelve populations after 31,000 generations of evolution. Genomic analysis by Blount and colleagues showed that this novel trait was due to a gene duplication that caused oxic expression of a citrate transporter gene that is normally only expressed under anoxic conditions, thus exapting it for aerobic use. Metabolic systems have the potential to innovate without adaptive origins. Gould and Brosius took the concept of exaptation to the genetic level. It is possible to look at a retroposon, originally thought to be simply junk DNA, and deduce that it may have gotten a new function to be termed as an exaptation. Given an emergency situation in the past, an organism may have used junk DNA for a useful purpose in order to evolve and be able to survive. This may have occurred with mammalian ancestors when confronted with a large mass extinction about 250 million years ago and a substantial increase in the level of oxygen in the Earth’s atmosphere. More than 100 loci have been found to be conserved only among mammalian genomes and are thought to have essential roles in the generation of features such as the placenta, diaphragm, mammary glands, neocortex, and auditory ossicles. It is believed that as a result of exaptation, or making previously “useless” DNA into one that could be used in order to increase survival chance, mammals were able to generate new brain structures as well as behavior to better survive the mass extinction and adapt to a new life. 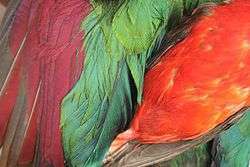 Once again, feathers are an important example in that they may have first been adapted for thermoregulation and with time became able to catch insects and therefore serve as a new feature for another benefit. Large contour feathers with specific arrangements arose as an adaptation for catching insects more successfully, which eventually led to the flight seeing as the large feathers served better for that purpose. Darwin explained how the traits of living organisms are well-designed for their environment, but he also recognized that many traits are imperfectly designed. They appear to have been made from available material, that is, jury-rigged. [lower-alpha 2] Understanding exaptations may suggest hypotheses regarding subtleties in the adaptation. For instance, that feathers evolved initially for thermal regulation may help to explain some of their features unrelated to flight (Buss et al., 1998). However, this is readily explained by the fact that they serve a dual purpose. ↑ See Jacob (1977) and Mayr (1982) for references. ↑ Jacob (1977) sees much of evolution as "tinkering," that is, working with available traits. "Tinkering" includes (but is not limited to) shifts in function. ↑ Gould, S. J.; Vrba, E. S. (1982). "Exaptation - a missing term in the science of form". Paleobiology. 8 (1): 4–15. JSTOR 2400563. ↑ Bock, W.J. (1959). "Preadaptation and multiple evolutionary pathways". Evolution. 13 (2): 194–211. doi:10.2307/2405873. JSTOR 2405873. ↑ Hayden, Eric J.; Ferrada, Evandro; Wagner, Andreas (2 June 2011). "Cryptic genetic variation promotes rapid evolutionary adaptation in an RNA enzyme". Nature. 474 (7349): 92–95. doi:10.1038/nature10083. PMID 21637259. 1 2 Jacob, F. (1977). "Evolution and tinkering". Science. 196 (4295): 1161–6. doi:10.1126/science.860134. PMID 860134. ↑ Mayr, Ernst (1982). The Growth of Biological Thought: Diversity, Evolution, and Inheritance. Harvard University Press. ISBN 0-674-36445-7. 1 2 Masel, Joanna (March 2006). "Cryptic Genetic Variation Is Enriched for Potential Adaptations". Genetics. Genetics Society of America. 172 (3): 1985–1991. doi:10.1534/genetics.105.051649. PMC 1456269 . PMID 16387877. ↑ Rajon, E.; Masel, J. (2011). "Evolution of molecular error rates and the consequences for evolvability". PNAS. 108 (3): 1082–1087. doi:10.1073/pnas.1012918108. PMC 3024668 . PMID 21199946. ↑ Colleen Farmer (1997). "Did Lungs and the Intracardiac Shunt Evolve to Oxygenate the Heart in Vertebrates?". Paleobiology. Paleontological Society. 23 (3): 358–372. JSTOR 2401109. ↑ "accessed May 16, 2008". Wolf.org. Retrieved 2013-12-17. ↑ Cowen, R. History of Life (3rd ed.). Blackwell Science. p. 126. ISBN 0-632-04444-6. ↑ Blount, Zachary D.; Borland, Christina Z.; Lenski, Richard E. (2008). "Historical contingency and the evolution of a key innovation in an experimental population of Escherichia coli". Proceedings of the National Academy of Sciences of the United States of America. 105 (23): 7899–7906. doi:10.1073/pnas.0803151105. ISSN 1091-6490. PMC 2430337 . PMID 18524956. ↑ Blount, Zachary D.; Barrick, Jeffrey E.; Davidson, Carla J.; Lenski, Richard E. "Genomic analysis of a key innovation in an experimental Escherichia coli population". Nature. 489 (7417): 513–518. doi:10.1038/nature11514. PMC 3461117 . PMID 22992527. ↑ Brosius, Jürgen (1991). "Retroposons--seeds of evolution". Science. 251 (4995): 753. doi:10.1126/science.1990437. PMID 1990437. ↑ Brosius, Jürgen; Gould, Stephen Jay (1992). "On "genomenclature": a comprehensive (and respectful) taxonomy for pseudogenes and other "junk DNA"". Proc Natl Acad Sci U S A. 89 (22): 10706–10. doi:10.1073/pnas.89.22.10706. PMC 50410 . PMID 1279691. ↑ Okada, Norihiro (14 July 2010). "Emergence of mammals by emergency: exaptation". Genes To Cells. 15 (8): 801–812. doi:10.1111/j.1365-2443.2010.01429.x. Retrieved 13 December 2014. ↑ The development of complex structures (i.e., evolution of novelties) occur either by intensification of an existing function or by a switch in functions. Gould, Stephen Jay; Vrba, Elizabeth S. (1982). "Exaptation — a missing term in the science of form" (PDF). Paleobiology. 8 (1): 4–15. JSTOR 2400563. MacDonald, G.; Leary, M.R. (2005). "Why does social exclusion hurt? The relationship between social and physical pain". Psychological Bulletin. 131 (2): 202–23. doi:10.1037/0033-2909.131.2.202. PMID 15740417.